Over a Cup of coffee...: I salute people of India! 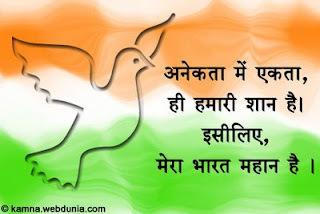 I salute people of India! These results reminded me of the elections after Indira Gandhi had imposed Emergency in India. She had lost by more than 55000 votes! India has once again proved that it is a vibrant democracy. Indian people gave a clear mandate for development & growth. One can see similarity between last Gujarat Assembly Elections results & these ones. At the time of Gujarat Elections, our CM Mr.Modi was campaigning on the issue of development in Gujarat, when Congress started negative campaigning alongwith Media. Sonia Gandhi called him "Maut ka Saudagar"-trader of death! Naturally he had to reply to that. Media also was totally anti-Modi. Even in the so called talk shows, no one was allowed to talk in favour of Mr.Modi ! (Later on I came to know that they were paid to do so!!) That angered us very much! All of them were talking about post-Godhra riots, very conveniently forgetting those 59 Hindus, who were burned alive In Sabarmati Express, which had started those riots in the first place! Rajiv Gandhi Foundation, whose chair person is Sonia Gandhi had given an award to Gujarat for development. Even after that Rahul & Sonia both denied the fact that Gujarat has developed under the leadership of Mr. Modi! We live in Gujarat, we know how much this state is progressing because of Mr.Modi's policies! This negative campaign infuriated people of Gujarat so much that they voted for BJP. BJP won the Assembly election & Mr.Modi became CM ! Same thing has happened again. Negative campaigning against Congress & Manmohan Singh angered Indian people & created sympathy for Congress & they won this one. Now Congress (UPA) can form a government & make & implement policies freely without any pressure from any Communists, Laloo, Mayawati, Jaylallita or Mulayam. All of them were putting conditions for their support to UPA to form the government before the results, now they are ready to give unconditional support to UPA! Tables have turned in just a single day!I hope, UPA does not invite Left parties to join it, as Manmohan Singh said yesterday. India can do without them in the government. They are almost wiped out even in their own constituency! Ramvilas Paswaan was hoping to play the role of a king maker, not only his party did not get a single seat, he himself has lost; he, whose name has been recorded in Guinness book of world records to have won the election by greatest margin! Now we can have a steady government for for the next five years, who is in favour of development of our country, though I would have preferred Rahul Gandhi as PM. There is something about him that spells freshness. He can lead India to new hights with his new ideas. I think, he is a man, who can make even opposition to believe in his policies! I think, that day is not far away. I don't wish anyone any ill, but these people might not be in active politics at that time. Advani, who is 82 years of age has announced his retirement from active politics. Karunanidhi is 85 years old & he might not be there next time & so might be the fate of his party, as he is the whole & sole in his party. All regional parties are like that. When Karunanidhi would not be there, his opponent Jaylalita, who will be 67 then, would not be so aggrasive! Balasaheb Thackeray is 83, & his son Udhdhav is not like his father. Raj Thackeray has already separated from him. Laloo's party has lost in this election, as Nitishkumar is doing fine for Bihar, which Laloo never did, when he was CM there. & if Nitishkumar continues like this, people are always going to reject Laloo. George Fernandes was denied ticket this time by the party he himself had established.He chose to fight election as an independent & lost. Bherosingh Shekhawat did not fight this election, as he is a former vice President of India & is 86. Pranav Mukherji will be 79 in five years. Arjun Singh is 81 years of age at present. He was not even able to get a ticket for his daughter this time even after doing so much for Gandhi Family! Manmohan Singh is 78 at present. Sharad Pawar will be 74. He has brought his daughter in politics, but she is not Sharad Pawar. Shibu Soren would be 70 in five years. His party would not survive without him. Mulayam will be in his eighties at the time of next election. His party has not performed so well this time. He has decided to support UPA unconditionally, provided UPA asks for their support, which UPA at present seems in no mood to do! (till day before yesterday, he was saying that his party will support whoever dismisses Mayawati from UP!) His party is facing problems from inside even now & Amarsingh does not understand that you can't win elections by bringing filmstars in politics! If something happens to Mayawati or Mamta Banerji, their parties will be lost forever.Murli Manohar Joshi-75; Jaswantsingh-71; Yashwant Sinha-72; Sonia Gandhi-63-where will they be after five years? Rahul Gandhi is 39 years of age, if he thinks himself still young & inexperienced, when will he accept the responsibility-when he is so old that we would again ask for some younger person as our PM??? People of India have really proved that they recognize, what is good for them & what is not! No wonder, India is called the largest democracy in the world!